During the second half of last week’s 93-58 brick-fest against Creighton, just as DePaul’s deficit was reaching the point of no return, Billy Garrett Jr. drove to the basket, challenging Creighton’s seven-foot center Justin Patton at the rim for what may very well be the worst layup of his collegiate career. No rim, no backboard, no net, no block, no foul; simply an air-ball from two feet away. My initial reaction was to agree with the man. 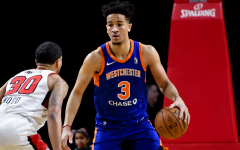 Garrett had played categorically poor basketball for much of the night, and his team was suffering as a result. And as the play continued, the fan’s angry words made me realize just how demoralized DePaul’s fan base really is. 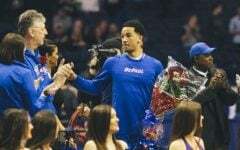 DePaul’s final season at Allstate Arena marks their tenth straight season with a losing record. 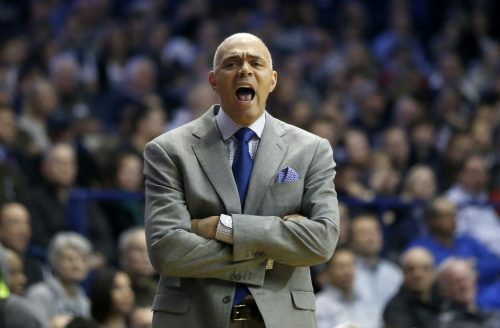 The second year of head coach Dave Leitao’s return to DePaul has been difficult to watch. That said, I caution fans from attacking the direction of the DePaul basketball as a whole based on just two seasons in Leitao’s new regime. 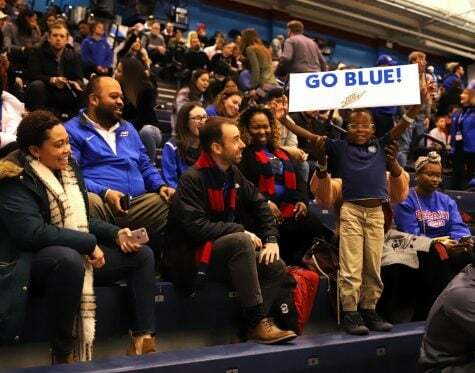 After more than a decade away from DePaul, it is both impatient and, frankly, immature for DePaul fans to expect Leitao to return a floundering program to its formerly competitive self so quickly. 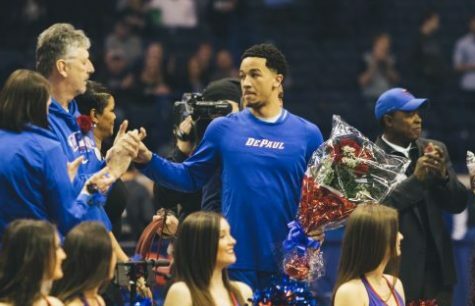 The excitement surrounding Garrett Jr. coupled with the return of a coach who last led DePaul to three straight post season appearances was enough to create an expectations bubble that was certain to burst. Similarly to market bubbles in the economy, calling for sweeping reform in the presence of a downturn is not always well advised. 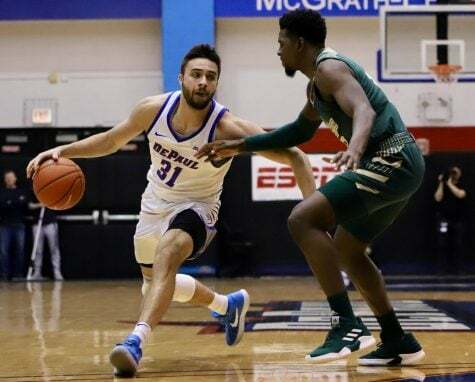 DePaul is playing the same game, but in a completely different conference – or market, if you will. The Big East is not the Great Mid-West Conference of the early 1990’s, nor is it Conference USA of the late 90’s and early 2000’s. 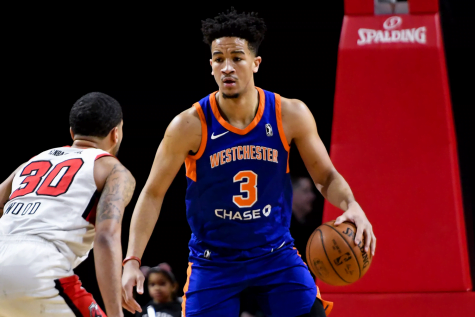 The Big East is home to royalty of NCAA basketball, and schools that as coach Leitao said, “play as a program,” where the players fill pre-established roles on the team, rather than building a new team and strategy based on the available talent. 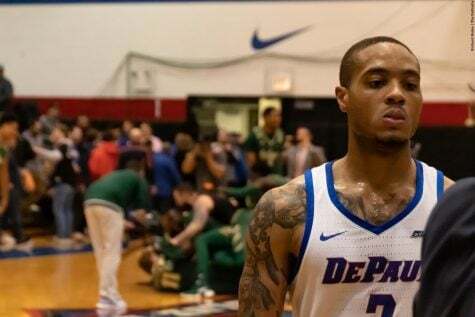 What DePaul needs is a little supply-side basketball: cut Leitao and his program a little slack, let them play basketball and figure things out — and they already are starting to do that, despite a meager eight wins on the season. 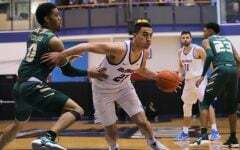 On Dec. 28 DePaul pressed the then top-ranked Villanova Wildcats in a one-point loss in the final second. 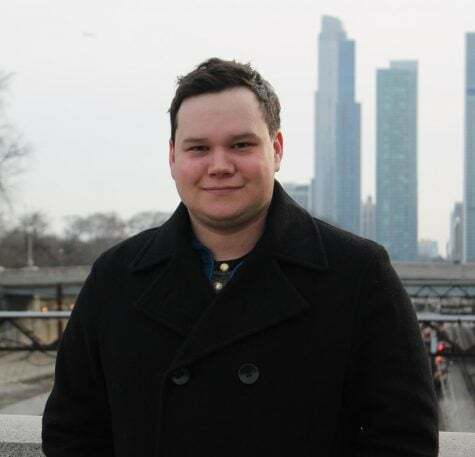 Then they beat Providence on Jan. 10 with some late game magic, and played March Madness worthy basketball in a heartbreaking overtime loss to Butler on Jan. 21. In all three games, the Demons played well on both ends of the floor and saw close to the best of what each of their opponents had to offer. Villanova’s head coach Jay Wright said he told his team at half time not to get complacent against DePaul, because they fight for 40 full minutes and are more than capable of winning games at the end. Coaches from almost all of their conference opponents have said the same thing. Each and every press conference begins with “you got to give DePaul a lot of credit for what they did tonight,” and you can feel the sincerity of their words in the room. 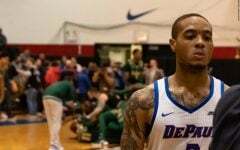 Unfortunately for DePaul, most of their best games came against some of the best teams in the country. 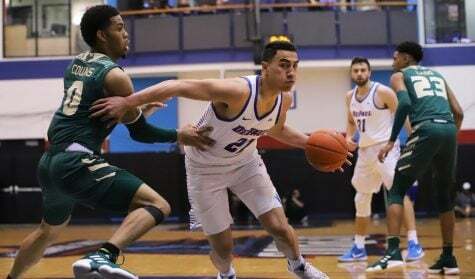 After DePaul’s most recent loss to Villanova, Leitao said, “In this league, you play teams that you have to beat because they don’t beat themselves.” And he’s right. 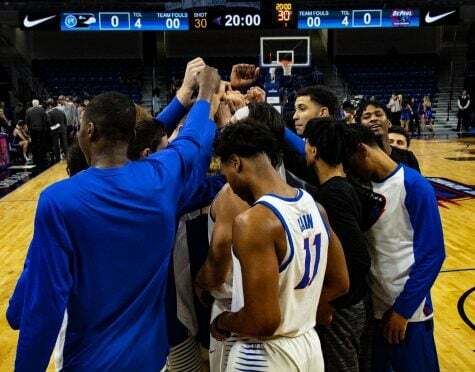 Defending national champions play with unrivaled discipline and maturity, something we cannot reasonably expect from a team that is still trying to find itself. 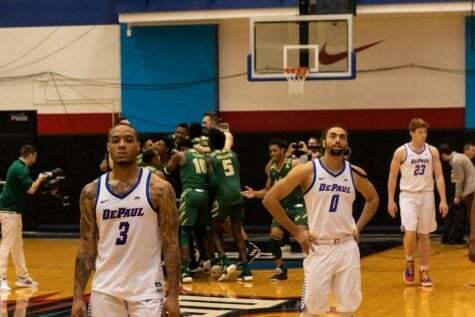 Right now, DePaul is going to continue to beat themselves, and that is an inherently good thing for a team in the midst of rebuilding – failure presents an opportunity for growth. Unfortunately for the fans, the Big East is going to keep holding them back for a while, so the growth is going to be difficult to observe. But, if DePaul can grow and develop in the Big East, they will be better equipped to improve their post-season record down the line. 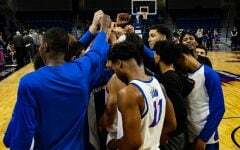 The Big East is making the Blue Demons look like a high school team from time to time but if we trust the natural market evolution of college basketball, with a highly skilled coach calling the shots and training hand selected players, DePaul will once again see 20 wins in due time. 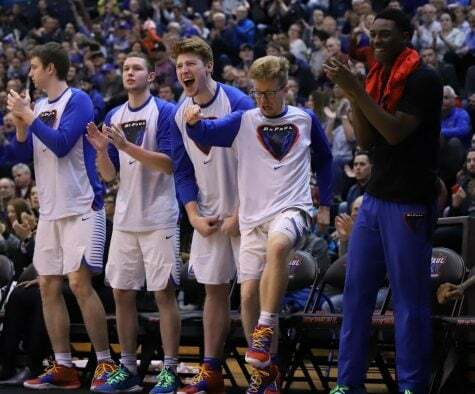 It’s time to channel DePaul’s theistic traditions and have a little faith in Blue Demon Basketball – and try to be a little nicer to Billy Garrett Jr.